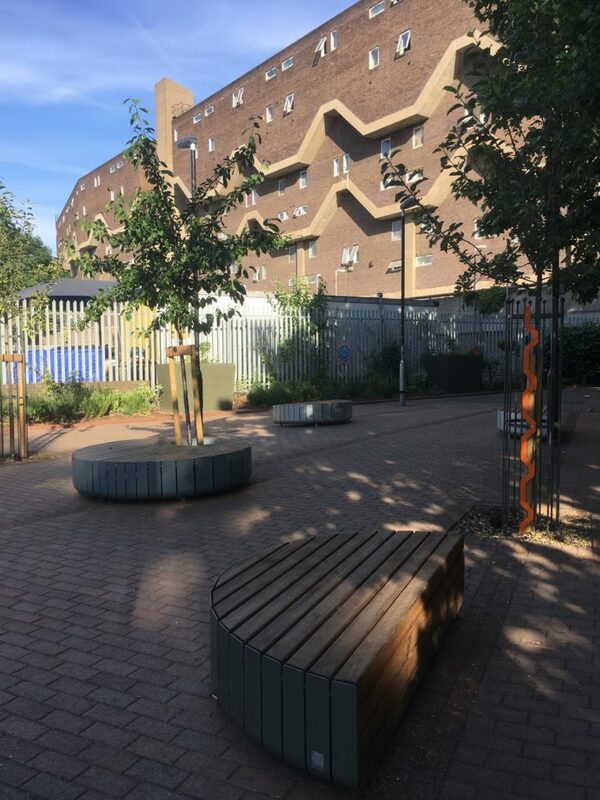 Taking on a forlorn site at the central entrance at Southwyck House on the Moorlands Estate in Brixton (AKA the Barrier Block) we planted 3 fruits trees, lots of herbs and berries at the site. Alongside the planting we introduced new public seating. The garden is being taken care of by EBS volunteers and the TRA and is supported by the Brixton BID.